How much was the fiction of Jane Austen influenced by Enlightenment ideals? Until recently, most scholars believed not much, if at all. Indeed it has often been said that living in the countryside, Austen remained isolated from the great events of her time. But this presumes that Austen did not read widely (which she did) and that she was not affected by what she read (which she was). Given that the Enlightenment is quite possibly the most important intellectual, social, and cultural transformation of the Western world since the Middle Ages (and it was happening during Austen’s lifetime), it is reasonable to assume it influenced pretty much everyone including Jane Austen and that what influenced Austen would in some measure, influence her fiction. Underlying Enlightenment ideals was Locke’s assertion that the mind is a blank slate receiving and ordering worldly sensations for the benefit of the individual. With this, the focus shifts forward: the individual is valorised and self- interest legitimized- no longer is he encouraged to blindly follow established teachings (i.e. church, government, aristocracy). Instead he’s to be the creator of his own meaning and truth. This is to be accomplished through rational assessment and critical reason in order to decide for himself what course of action to take to achieve happiness. This essay evaluates Austen’s portrayal of three of her heroines in regards to Locke and these Enlightenment ideals with a view toward demonstrating that her fiction was in large part, influenced by them. This clarifies how uncompromisingly Anne supports coolheaded rationality. She believes that however right her feelings might have been, it was not justifiable to follow them when she was unable to rationally defeat Lady Russell’s objections. It is key that Anne’s choice was not made Lady Russell, but by herself and that it was not blindly made. In keeping with Enlightenment principles, Anne rationally assessed her options and only allowed herself to be persuaded by Lady Russell’s advice when convinced it would bring her more happiness in long term. 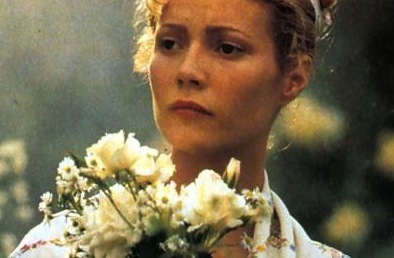 Austen portrays Anne Elliott as superior because she questions the social conventions and beliefs that others simply take for granted. While her family considers it a social necessity to keep their noble lifestyle despite mounting debt, Anne suggests they do without servants, horses, and various vanities to save money. Anne’s standards are not those expected of her social class – indeed they are more focused on personal accountability and duty than on social status and pedigrees. Undoubtedly she has forged these standards for herself for given her family, they were not likely to be hereditary. Pride and Prejudice is written from Elizabeth Bennett’s point of view – an excellent literary device for expressing Enlightenment individuality. Elizabeth is nothing if not individualistic. She demonstrates (1) a demand for self-expression (strong opinions that she is not afraid to voice –Lady Catherine is seriously taken aback when Elizabeth defends her younger sisters for being already ‘out’ in society) and (2) the free exercise of personal will (she walks to Netherfield Park alone to visit her ill sister even though this is criticized by Mr. Darcy and Bingley’s sisters). It is tempting to put her behaviour down selfishness or silliness. But however self-focused, Elizabeth never disregards social rules with the same abandon, as does her younger sister Lydia. This too, is a demonstration of an important Enlightenment ideal. In his essay What is Enlightenment?, Immanuel Kant distinguishes between the use of reason (1) in public affairs (expressing one’s opinion as a scholar), which must always be free, and (2) in private affairs (conducted in the interests of the community), which understandably often “requires a certain mechanism…an artificial unanimity.” That Elizabeth makes the same distinction and cares as much about community as she does about herself is made clear during her visit to Pemberly when she comments on Mr Darcy’s importance to his community: “as a brother, a landlord, a master, she considered how many people’s happiness were in his guardianship!” It appeals to her that he uses his power well. While Anne exercises reason to ensure her happiness and Elizabeth balances her self-interest with community demands, Emma Woodhouse, heroine of Emma, does neither. Emma, “handsome, clever, and rich,” is disposed to believing she has more capacity for personal authority and self-expression than she has. Indeed in her view, she has enough to share as she undertakes to “improve” her new friend Harriet and “form her opinions and her manners” with disastrous consequences. Such disregard for another’s rights pursue her own happiness is not in keeping with Enlightenment ideals. Neither is Emma’s lack of capacity for self-reflection. It is not until Mr. Knightley upbraids her behaviour that she considers she may have been rude to her unfortunate neighbour, Mrs Bates. Even then, Emma “tried to laugh it off.” That Emma’s assumed position in the community is threatened by her meddling and rudeness, becomes obvious when she realises she must ‘submit to stand second to Mrs Elton…” at the ball. While Emma might be interpreted to support that Austin’s fiction was not much influenced by Enlightenment ideals, it could also be interpreted as a savvy foreshadowing of modern criticism of such ideals. By demonstrating the damage done when Emma’s rampant individualism is not properly balanced with legitimate needs of community, Austin may have been pointing to that which we understand today – unchecked individualism leads to an empty, solitary self and painful lack of meaningful involvement with others. Indeed such understanding has led many to call for a shift backwards to where community is valorised at the expense of self-interest and individuality. Austen, Jane. Emma. London: CRW Publishing Limited, 2003. Austen, Jane. Persuasion. London: CRW Publishing Limited, 2004. Austen, Jane. Pride and Prejudice. London: CRW Publishing Limited, 2003. Israel, Jonathan I. Democratic Enlightenment (Introduction). Oxford: Oxford University Press, 2013. Kant, Immanuel. “What is the Enlightenment?” (1-7). The Portable Enlightenment Reader. ed by Issac Karmnick. New York: Penguin Books, 1995. Knox-Shaw, Peter. Jane Austen and the Enlightenment. Cambridge: Cambridge University Press, 2004. Kramnick, Issac. The Portable Enlightenment Reader (Introduction). New York: Penguin Books, 1995.